I have to be completely honest, I haven’t shopped a seasonal makeup collection in years. I will pull up blog posts and articles online to see what’s coming, but that’s the extend of it. So, when I did just that a few weeks ago, I came across the new collection for Chanel. Let’s just say that I gagged!! I could not wait to get my hands on the collection! International Makeup Artist, Lucia Pica, was inspired by a road trip to Los Angeles and her vision of LA sparked a beautiful collection that reminds you of grungy blue ocean water and dusty pink city lights against an LA sunset. I was first attracted to the Les 4 Ombres in Road Movie because I’m a sucker for deep blues paired with bronzes and browns. Seeing it online is one thing, but seeing it in person was even better. 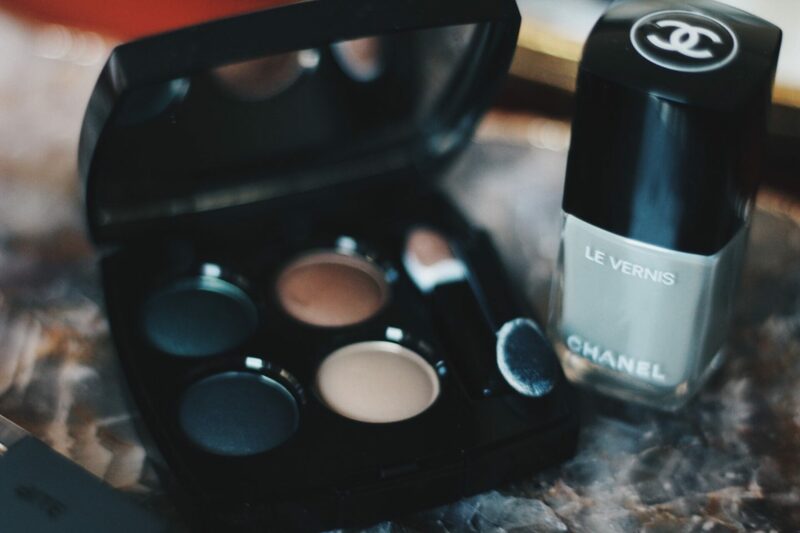 As someone who loves makeup, I only own two (now three) Chanel eye shadow palettes. Weird, right? Not only are the colors of the palette lush, but the color payoff is phenomenal! Now, I will caution that when you use this palette, start with the eyes first because the color does fall out and bleed a bit. The clean up will be much easier. But it’s a beautiful palette and perfect for anytime for any season. When I got the palette, I saw a beautiful new soft watery gray nail lacquer, Horizon Line, that was a part of the collection. It’s in the new gel formulation that I love and it’s a beautiful neutral that will work on all skin tones. I love that it’s a gray with a faint jade green running underneath, so it’s not totally pale or too concrete gray. This definitely came home with me. 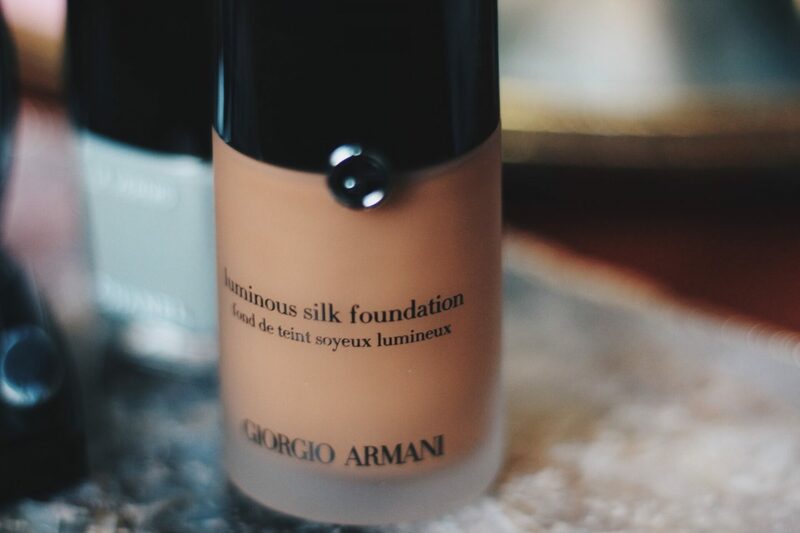 Lastly, I purchased the ever famous, ever popular Giorgio Armani Luminous Silk Foundation. I’ve read about this foundation so many time and I know it’s a favorite among celebs and makeup artists. I finally took the leap and when I used it for the first time, I stood in the mirror and wondered why the hell it took me so long to try it. It’s one of the most beautiful formulas I’ve ever used! It’s expensive as hell and it’s worth every penny! I’m a week into wearing it and it’s on my list of holy grail foundations! I’ll post more about this as I will have a foundation post coming up soon!